The Grey Zone is a strong introduction to a new science fiction series. Jason McMillan’s science fiction novel The Grey Zone includes political and socioeconomic undertones; it is entertaining and thought-provoking. The story is set in 2072. The US has joined the Global Federation of Nations and has implemented Basic Human Standards to try to improve the quality of life. However, many Americans don’t think highly of the GFN’s principles. Rebellion is rampant. When an Oklahoma City restaurant is bombed, journalist Natalie Kelley strives to get details on the attack and who could be behind it. She learns that this is just one incident in a much larger battle. The forces that want to bring the GFN down are more sinister and widespread than anyone has imagined. Following Natalie and a cast of supporting characters from both sides of the issue, The Grey Zone presents interesting perspectives on the benefits and challenges of a globalized planet. The clashing ideals of those who want to remain independent and those who back the greater good is intriguing. These themes dovetail, in many ways, with the current political climate. The book does an excellent job of presenting both sides without bias, showing that this story is not a good versus evil tale, but one that recognizes many shades of right and wrong. In addition to its social and political commentary, the novel is successful at world building and handling multiple story lines. Its society and characters ring true but are differentiated enough to respond to the new world’s demands. New technology, including virtual-reality infused satellite imaging, is explained and incorporated well, made to blend with present tech like drone footage and video calls. The text lays satisfying groundwork that can easily be built upon. Though the characters are interesting and believable, they are often introduced in a stilted way: Natalie as “a short, pretty, olive-skinned thirty-two-year-old woman” and resistance leader Noah Bridger as “a white man in his midthirties.” This, along with areas where the “utopia” is glossed over rather than explored, takes away from the reading experience. The evil underpinnings of the new world are also hinted at instead of being dealt with head-on. That there are many characters and story lines becomes confusing, especially when it comes to the different zones, including the grey zones where people reject the GFN and its standards, and the main figures in each. Within this complex setup, not all parts are clearly explained, though the story lines come together in a satisfying and appropriate resolution. 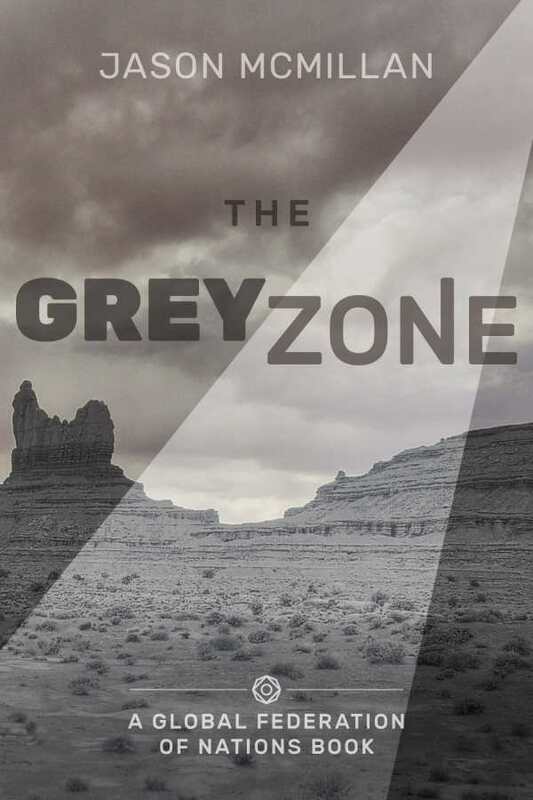 Both an entertaining story and a thought-provoking commentary on present and future social issues, The Grey Zone is a strong introduction to a new science fiction series.